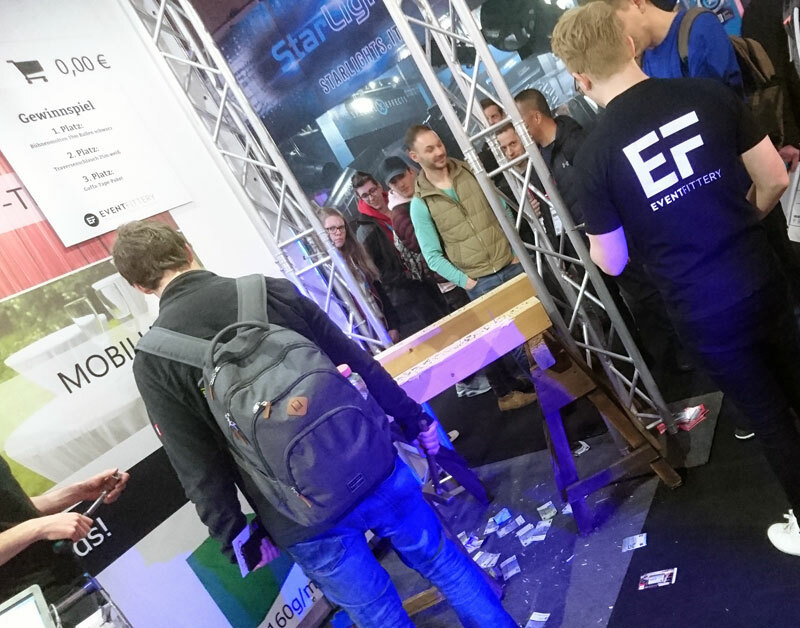 The very young company Eventfittery presented itself to the industry for the first time at Prolight + Sound. The shop for event and catering supplies has only existed since February of this year. The online shop, which specializes in the needs of the catering and event services sectors, advertised with a special prize draw. 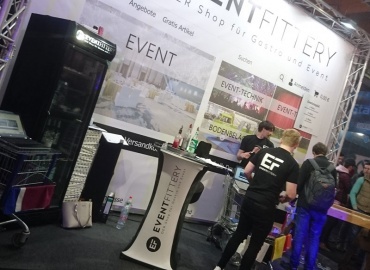 The start-up company from Osterrönfeld in Northern Germany offers a broad product portfolio of event equipment. Here planners and organizers will find what is needed to stage events or gastronomy in a decent way. From floor coverings such as carpets and dance floors, to consumables in the form of gaffer tape, rubber tensioners or disposable cutlery, to classic event textiles (molton, covers or thread curtains), everything can be ordered in the shop and delivered directly to the event. 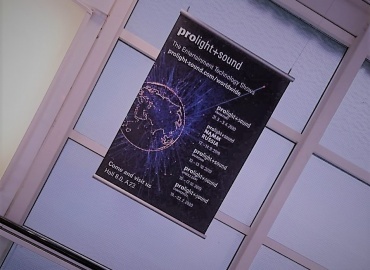 The company presented itself to the industry at Prolight + Sound in the new Hall 12.1. Visitors were treated to a small opening campaign where they could also make small profits. 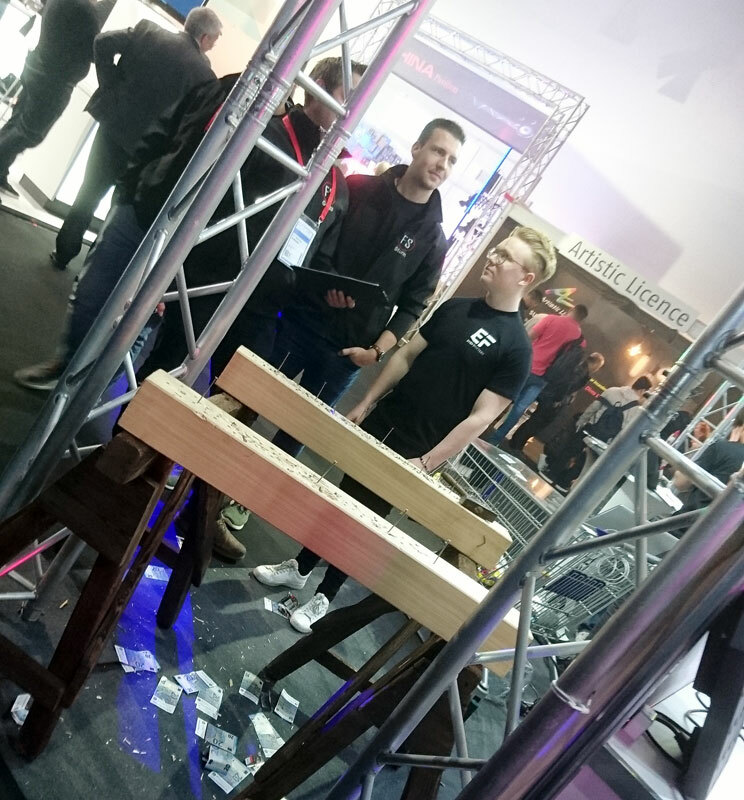 Visitors to the stand were able to prove their skill and precision in the “nail hammering” competition. A stage molton bale, a truss hose and a package of gaffer tape could be won. In order to win the first prize, only one nail had to be knocked into a log. the first opportunities for the young company to make a name for itself in the event industry. The start-up already made its successful debut in February at Nord Gastro 2019 in Husum.